Needless to say, all is happening to make us aware of the Truth as is and as it applies to us individually, which further leads us into the realization of the collective truth as is. In this context, my weekly dialogue group had already planned to go into the depth of the #4 state (i.e. Established in Truth) as is described in our last monthly LRIG theme #9. So it is not a coincidence that we are all deeply contemplating on the same theme in our own unique ways and situations. 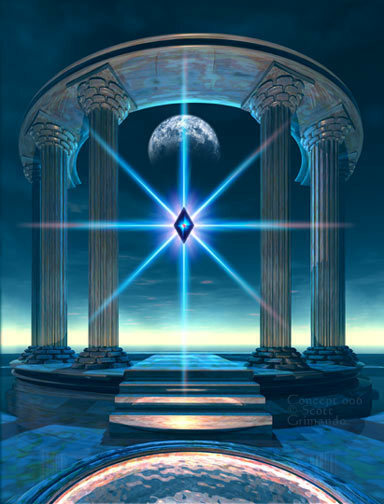 Both groups have come up with pretty deep realizations of the direct connection between the Truth, the Awareness and the Detached Observation of the moment as is. It is clearly established in group sharing that Truth is God (i.e. where there isn't the presence of the truth, automatically/naturally there isn't the presence of God and vice versa). We all started to look/observe individually in our own inner silence and truth as it applies to us individually in the five different areas of life namely: physical, emotional, intellectual, spiritual and universal. This is the reality of the present moment. We have looked at the positives and the negatives as applied to us individually in each of these five areas of life. This gives each one of us Self-Awareness as is. We came to the conclusion that Awareness is central to the Truth and Truth is central to God. Love, joy, peace, freedom all being parts and parcels of "Self- Awareness and Truth." 1. Self-alignment: How far we are individually listening to our inner True-selves and doing things according to those effortless prompts. 2. Universal-alignment: How far; after doing our level best, we are leaving to the universal itelligence/energy to look after the orchestration of our actions. Meaning thereby non-attachment to the outcomes of our actions and offering them as individual contributions in the cosmic totality as whole. Further deep contemplation is: "I am One with all that is"
- It's great to be able to listen to others who wish to talk to someone to offload. However, after listening to them, we must listen to ourselves in our quietness. - No one is free from the challenges of life. These challenges must be responded to in our present moment awareness. It is only then we grow in our wisdom and take ever more steps forward. - In every interaction, let's individually look at what our roles are; perform them well, and then leave them alone. Stay connected, know your roles, perform them with harmlessness, kindness, compassion and with unconditional love and selfless service, then let go ... and let It look after them. I thought the essential sharing of the above is pertinent to all of us in our current practical lives of daily living. Ponder on this expanded theme for now, and see how it goes with you. Of the Group, as the Group, as One!